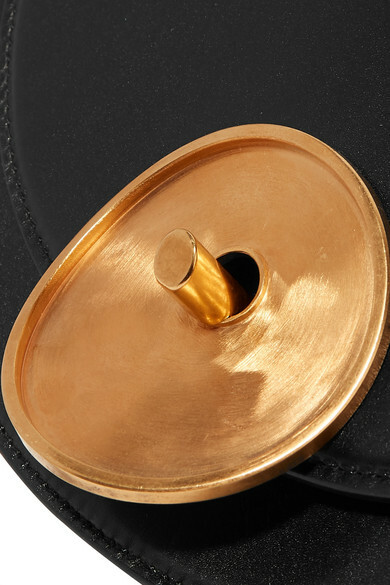 Marni knows it's the details that make a piece stand out, and in the case of this 'Monile' saddle bag, it's the unmistakable gold-tone hardware at the front. 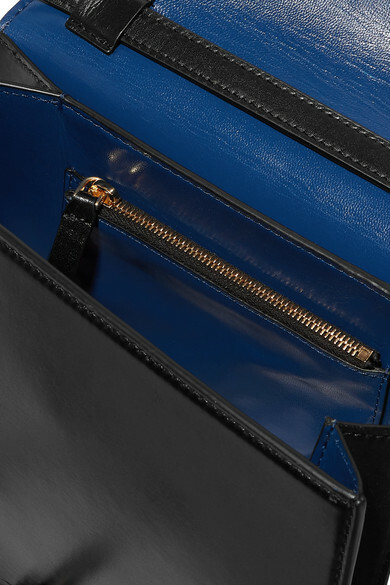 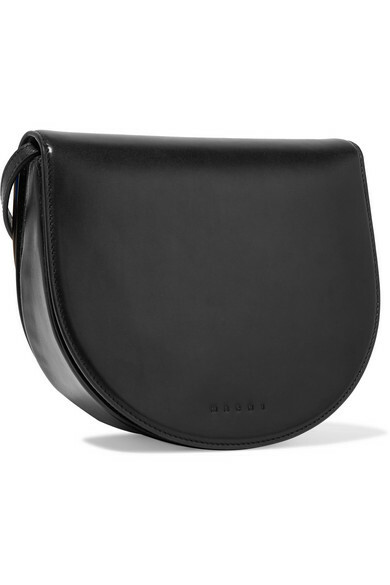 Made in Italy from smooth black leather, this large version has enough space for your daily essentials in the pocketed interior and an adjustable strap that can be draped cross-body. 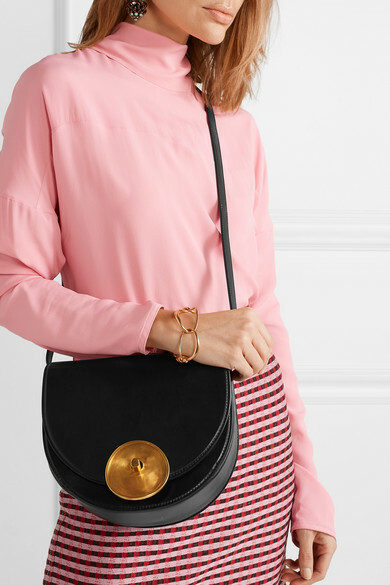 Shown here with: Marni Blouse, Marni Skirt, Marni Earrings, Dinosaur Designs Bracelet.